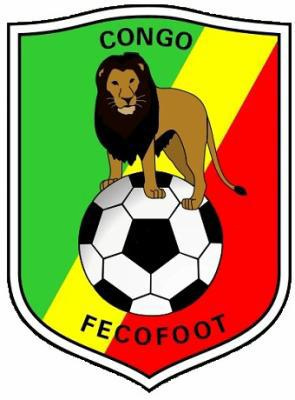 'Congo won their first game at an Africa Cup of Nations finals since 1974, beating Gabon to move top of Group A. The Gabonese enjoyed the better of the first half but fell behind after 48 minutes when Prince Oniangue stabbed the Red Devils in front from a corner. Charlton Athletic's Frederic Bulot, who had a fine early volley saved, wasted Gabon's best chance, missing an open goal midway through the second half. Congo Brazzaville produced a shock victory in their Africa Cup of Nations qualifying campaign, beating Nigeria 3-2 in their Group A match in Calabar. It is the first time Nigeria have lost a competitive home game in 33 years. Nigeria, the reigning African champions, took the lead against Congo after 13 minutes when Efe Ambrose's header managed to find a way past Congo goalkeeper Massa Chansel. But the lead did not last long as Prince Oniangue took advantage of some slack marking and equalised for the Red Devils two minutes later. It was a tricky game played on a bumpy pitch which made ball-control nearly impossible. As Nigeria struggled to find drive and creativity, disaster struck. Just moments after goalkeeper Austin Ejide had done well to keep out a superb free kick by Francis Nganga, the visitors went in front on 40 minutes when Thievy Bifouma (pictured) finished off a fine move. Bifouma struck again in the 53rd minute when he converted a penalty awarded when he was fouled by Ogenyi Onazi inside the box. Gbolahan Salami then gave the home side a glimmer of hope when he reduced the arrears with less than five remaining. But the Red Devils held on for a famous victory. Nigeria captain Austin Ejide admitted they lost to a better side. "They dominated and deservedly won. We underrated them and paid dearly. They were more aggressive and played like the home side here. A poor performance on our part." 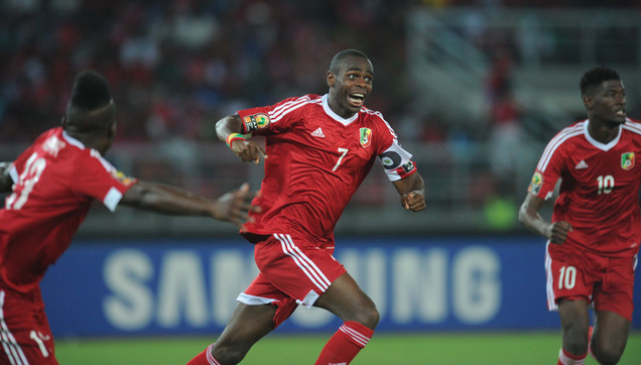 As for Congo's Thievy Bifouma, who netted two goals for his country, he was proud of their performance. "We worked hard. We knew we were facing a big side in Africa and we played our own game and we are proud of ourselves. We need to focus on Sudan on Wednesday now." 'The new Guinness ad featuring superbly dressed Congolese men has been getting a lot of attention since its release earlier this year. The ad follows the men as they shed their working clothes and transform themselves into polished, hat-wearing, cane-wielding style moguls - because, as the narrator says, "in life, you cannot always choose what you do, but you can always choose who you are." Costume designer Mr Gammon took 28 suitcases of elegant kit to the shoot with members of the Congolese Society of Ambianceurs and Elegant Persons (SAPE) - sapeurs, as they are known. The main idea was to be true to the sapeur look, but also, "kind of, heighten it a bit," Gammon says. "I wasn't redesigning them." Photographer Per-Anders Pettersson who spent five days with sapeurs in Kinshasa in 2012 says the picture portrayed in the ad is pretty accurate. The opening frame of the ad locates the action in Congo Brazzaville. 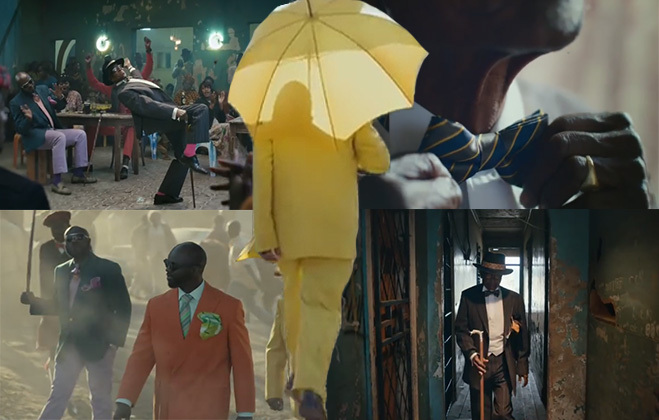 Sapeurs exist both there and in the neighbouring Democratic Republic of Congo - but the ad was actually shot in South Africa. Hassan Salvador, seen in the ad sporting jaunty Lennon-style dark glasses, says he earns $1,000 (£610) a month working as a warehouse manager, and about 20% of that goes on clothes. Feron Ngouabi - who can be glimpsed wearing a kilt and tam-o-shanter - spends all of his earnings as a fireman on clothes, he says. Fortunately he owns two taxis, which bring in extra cash. In the ad they wore a mixture of their own wardrobe, and Mr Gammon's. 'The President/Chief Executive Officer of Dangote Group, Aliko Dangote, has donated the sum of $500,000 to help ameliorate the sufferings of victims of ammunition dump explosion in Congo. A statement from the group said Dangote announced the donation while on condolence visit to the President of Republic of Congo Denis Sassou-Nguesso. Speaking at the President’s office in Brazzaville, Dangote said the visit was to commiserate with the President and people of Republic of Congo on the ammunition dump explosion that killed over 200 people. A series of explosions at an ammunition depot on March 4 killed 200 people and wounded about 2,000 more in Brazzaville, the capital of Republic of Congo. The explosions occurred when a fire at the depot set off a cache of tank shells. He said Dangote Group feels the pains and sufferings of the victims of the explosion, adding that the donation is a gesture towards ameliorating the plight of the affected people. He prayed that such disaster will not occur again in Congo. According to him, the group identifies with the Republic of Congo which informed its decision to site a cement plant in the country. Responding, President Sassou-Nguesso expressed appreciation for the donation saying that the gesture is a true reflection of Dangote Group’s pan African stance. Thanking Dangote for the donation, he said that Africa needs people like Dangote who respond quickly to reduce the impact of disasters. The Congolese president stated that government has started reconstruction of houses affected in the explosion adding that “this contribution will go a long way in building new houses for the victims. 'A mass funeral has been held for victims of a huge explosion that ripped through the Republic of Congo's capital a week earlier. At least 240 people were killed when an arms depot in a densely populated part of Brazzaville went up in flames. 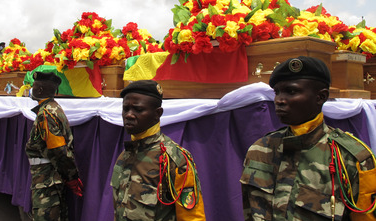 Thousands of people, including Congo's President Denis Sassou, attended Sunday's funeral and memorial service. The arms depot fire that raged for two days in the Brazzaville is now under control, officials say. The blaze has claimed some 200 lives, with many more people feared buried under the rubble. Rescuers say it is still too dangerous to go in because of unexploded weapons. The Red Cross admitted that it was still not able to begin search and rescue operations because of the number of shells and rockets littered around the site. At least 5,000 people are also thought to have been made homeless by Sunday's explosions, which hit the densely populated eastern suburb of Mpili in Brazzaville. President Denis Sassou-Nguesso: "I am asking to population to show courage and solidarity"
The more than 200 victims of last weekend's deadly arms depot blasts in the Republic of Congo's capital will be buried Sunday in a mass funeral, state radio reported. Firmin Ayessa, chief of staff for President Denis Sassou-Nguesso, announced on state radio Thursday the burials will take place at Brazzaville's main cemetery and said that the "government will always remain at the side of the families of the victims." At least 246 people have been killed in the series of explosions that started Sunday morning, when the capital's main arms depots caught fire, catapulting rockets, mortar rounds, shells and other ordnance into a busy residential district. The last detonations were heard Tuesday morning. The blasts and fires they ignited prevented any coordinated rescue effort. The toll has been taken from bodies at the morgue of the main hospital, mostly transported there by the families themselves. More than 200 were killed in a series of explosions Sunday at a munitions depot in Brazzaville, Congo's capital, said theCongolese Minister of the Interior, who was unable to specify the number of injured. 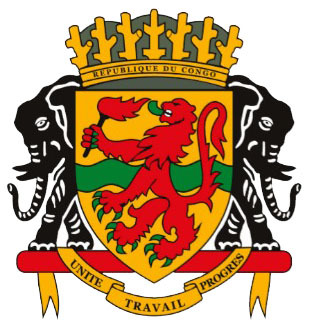 Five strong explosions rocked Brazzaville and spaced from 08:00 local time (0700 GMT) until 10:45. A fire in two ammunition warehouses with a deposit of the barracks shielded Mpila, in the east of the city, is the cause of the accident, the military said on condition of anonymity.